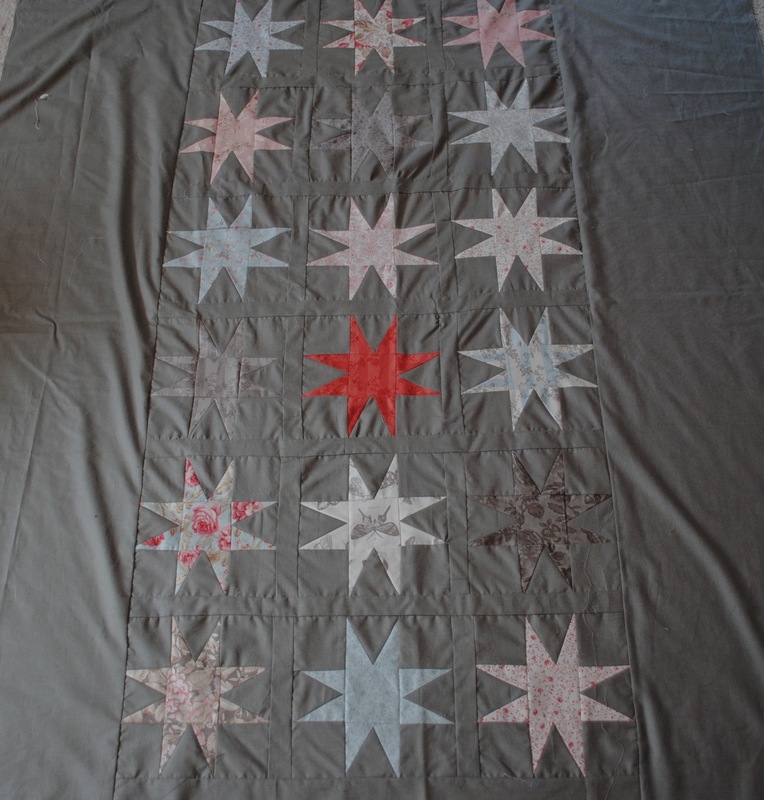 Remember that quilt top I was working on with Caroline when Lizzy House was at Susan’s? Just the top. But it’s beyond gorgeous. I don’t have any wall space where I can hang it for a proper picture right now, so bear with me. This is just a peek. The color is off and I realized it’s also upside – down. More details and better pics to come. For now I am back out to digging garden trenches. This entry was posted in Uncategorized and tagged Garden, Sewing. Bookmark the permalink. I could stare at that quilt all day. I love the colors of the stars and the background is just the right grey. Happy digging.